I have been checking back on your site for over two years now hoping that there will be a light at the end of the tunnel. My hope is waning thin again.. It seems like every time it looks like I will be able to buy this song it does not quite happen. (although it has not been THAT long since your last post) I love this version of the song and I absolutely loved the movie. This is one of my most recommended films of all time. I think it is one of the most underrated movies ever. At times it seemed that the film makers relied on formulaic teen hijinx (the pool scene) and were afraid to go all out and deliver a funny heartwarming movie about faith and disappointment but the second half of the movie more than makes up for the first and the end result was an awesome emotional roller coaster of a movie that kept you emotionally involved and on the edge of your seat. 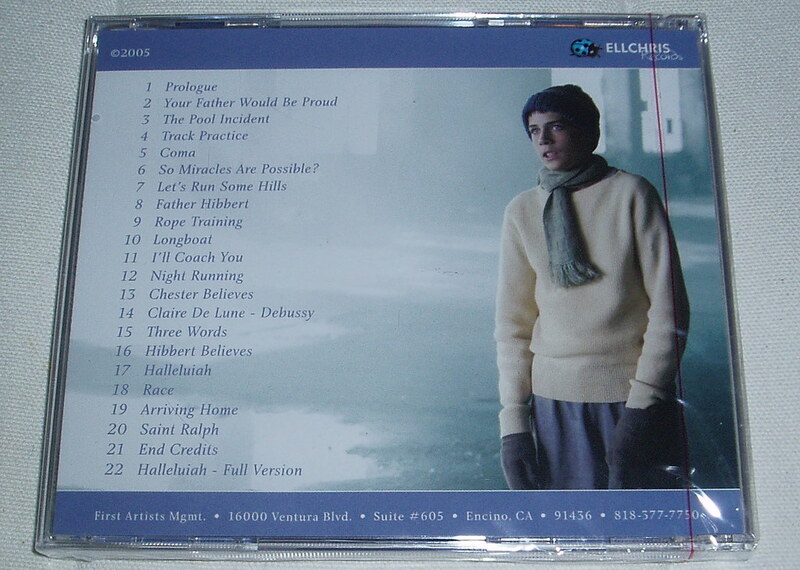 Downies version of Hallelujah captured the hope and desperation of the movie absolutely perfectly. I keep hoping that there will be a way to get the song and give Downie, and or the movie producers money for their artistic achievement because they certainly deserve it. Has there been any news on this, or should I keep from getting my hopes up? Thanks! Recently had the chance to see this movie and what a great movie!!!!!!! I suggest this movie to everyone I know. Every song is touching especially Hallelujah. I would be soooo grateful to have a copy. Any chance? My husband and I just recently watched this movie and love both the movie and the song. Please let me know when the song becomes available for purchase. Thanks! My husband and I absolutely LOVED this movie! We recommend it to everyone we know!! We have also been searching for the Hallelujah song--pls keep us in the loop of when it's available. Thanks!!! It has been YEARS trying to get a hold of this song? Can you or anybody send it to me? After watching St. Ralph my brain looped Hallelujah throughout 8 hours of sleep and I woke with a music hangover. I had to find a cure, thus discovered your blog and am hopeful there is something new to share. Better to break a promise than do more harm in keeping it. Only you are in a position to understand the harm (personal, professional or legal) you might do from sharing the song. Certainly a small harm is done to everyone with a self-interest in having the song available to themselves. But there is the potential for a much greater harm also. Mike, whatever becomes of the efforts to release the soundtrack, please do not allow this song to be lost forever. That may seem far-fetched, but countless recordings that were published and distributed do not survive today. I'm sure that you have weighed the harm done by keeping your oath against the harm done by breaking it and you're actions speak to your decision. Nonetheless, I implore you that when all hope for publication is lost, release the song. Your decision on this might determine whether future generations ever hear it, or whether it ceases to exist. I just came across this gem of a movie on Netflix today and must say that the climax of the film with Gord Downie's song moved me to freakin' tears. I sure wish the soundtrack for the film were available. Thanks for your efforts Toronto Mike. Awesome, awesome song and film. Hi, just found your blog, I would also like the Downie mp3 if you're still sending it out. Too bad it's not on iTunes. I just saw, and was moved to tears by, the movie Saint Ralph. Gord Downie's version of Hallelujah put me over the top. Incredible. I'm a big Hip fan but it took me a whole verse and almost a whole chorus to realize that it was Gord singing. Not because it didn't sound like him, but because it just sounded like THE SONG itself, like the spirit of the song took over his voice and persona. Pure beauty. If you could share a copy, I would be most delighted and thankful. Perhaps it's found on this unreleased soundtrack? Are you trying to encourage all of us to call First Artists and pressure them to release this unreleased soundtrack?